I dreamt I was in Doolin in the winter, staying with Lynne. She was kind and caring, and we wandered around Doolin. And then I looked out over the sea, and saw a huge tidal wave bearing down on the coast…a wave about 100 stories high. Terrified, I urged the locals to run. They seemed completely unconcerned, but one quietly told me, “Go, lad! If you run loike hell and don’t look back, you’ll be safe.” So I did… seemingly flying, and arrived in Ennis, several miles inland. Once there, I stayed with a nice woman and her family. They owned a pub and B&B, and I chatted with them while waiting for my friend Randy to arrive. Once he did, we walked out into the snowy woods to take photos. Suddenly we heard a roar, and on the horizon, above the trees, we saw it… the tidal wave. It was smaller, having smashed Doolin and the coast. But now the remnants were high above the horizon and heading toward Ennis. I watched in horror as it came closer, looming over the treetops, with Randy and I running away through the snow. It hit, and seawater knocked us off our feet, washing over the snow and melting it. A little less frightened now, I turned and saw another tidal wave approaching from the south, this one closer, larger and even more threatening. I wondered what towns it must have destroyed as it came closer. We ran as it hit, and caused only minor damage. We ran into town, trying to find our way back to the B&B through the watery streets. I entered a strange house by accident while small Irish children giggled at me. After finding out about the April 1997 death of my former girlfriend in a plane crash, I was a mess. For the next four years, I struggled to process the grief from both her death, my earlier divorce, and the physical distance between myself and my kids. 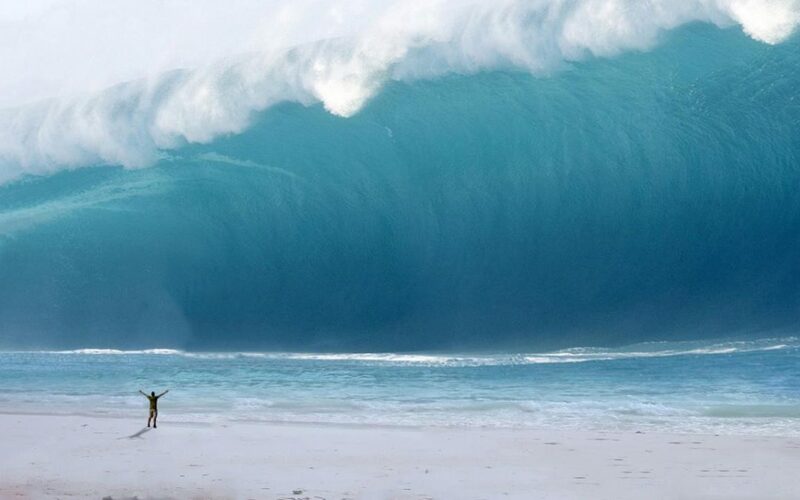 In this post, the tidal wave clearly represented the overwhelming grief that seemed to threaten to destroy me. Randy represented my pre-divorce life and relatively happy world, which was also threatened. Lynne was a very cool, very attractive sweetheart whom I’d met in Doolin and dated in real life right after Cindy’s death. Unfortunately I had no business dating anyone given my grief-stricken state of mind. I had mistakenly thought I could get past the emotional devastation within a few weeks. In hindsight, for the sake of Lynne and others, I shouldn’t have dated anyone until I’d had some healing. Lynne, I’m sorry.